This is a very pretty boat, with great lines and a really classy feel. She looks good, clean and well cared-for and should make anyone look and feel great! She has a large cockpit and raised steering position, with plenty of space and her accommodation is surprisingly spacious, light and airy with lots of room for everyone and plenty of nice features that hark back to her era. Her engine needs work - it needs replacing or a complete strip down to fix, hence the low asking price to take this into account. 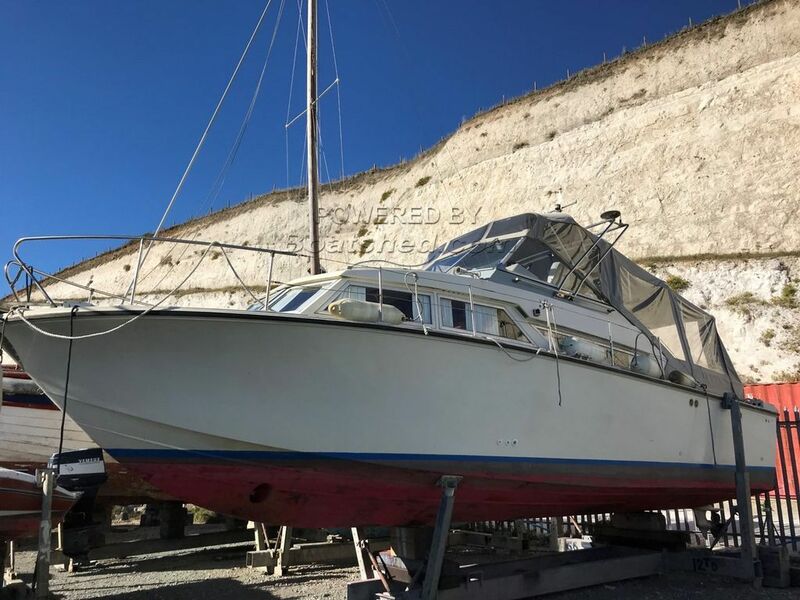 This Coronet 32 Oceanfarer has been personally photographed and viewed by Tim Kingston of Boatshed Brighton. Click here for contact details. - what about registration, documents and technical inspection.? - where can the boat sail ? Only river and lake and sea coastal waters too. Mediterranean Sea for example or ?nglish Canal. - can you send picture plan throw from above made by hand. - is there solar batteries ? - what is fuel consumption ?